"Texas Hill Country Living on Mount Alamo"
Coordinates: Lat-Long: 30.101521,-98.821149 or 30° 6' 5.4756"; -98° 49' 16.1364"
PRINCIPAL BUSINESS: This is a residential area; along with the now well-known Alamo Springs Cafe and the Old Tunnel Wildlife Management Area with an impressive Mexican free-tailed bat colony (see profile below). For full details on nearby events see Festivals & Major Events, Trade Days & Farmers Markets, Live Entertainment, and calendars on our other focus topic pages accessible from the menu above. 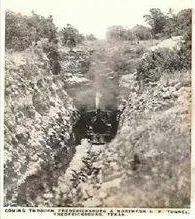 Alamo Springs was created (subdivided) in 1976. PRIOR CITY NAMES: An uncompleted resort community development (~1913) was called "Mount Alamo", and some locals still refer to this general area with this name. 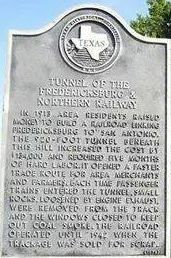 NOTES: Locations in this area carry the Fredericksburg, TX 78624 postal address. Nearest post office is in Fredericksburg. Note: There is not a local US Post Office. 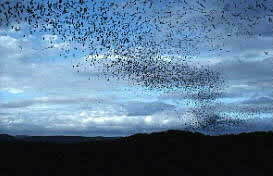 See full list of leases for this town at: Hunting & Fishing. 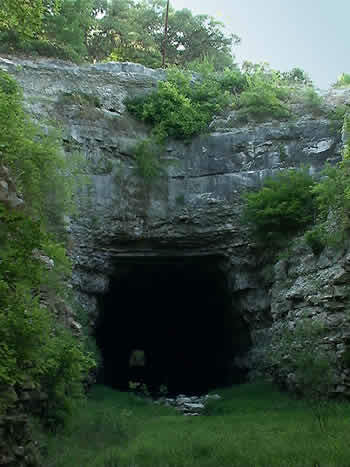 16 acres and seasonal home to a colony of 1-3 million Mexican Free-tailed bats. Upper viewing area open 7 nights a week, free access. Lower viewing area open May-Oct on Thu-Sun, no reservations, a fee is charged. Group tours. Half-mile hiking/nature trail, picnic tables, and exhibits. Next to Garrison Bros Distillery.